Some of the best recipes are the ones that get passed around between friends. 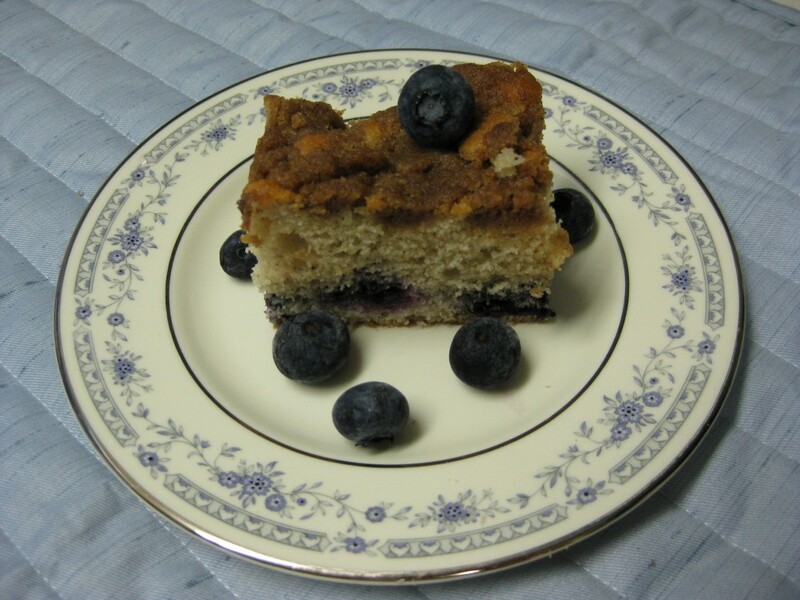 One of my oldest friends, Donna, gave me this recipe many years ago and it continues to be a favourite – especially of my son who loves blueberries. I can’t remember the last time I didn’t have blueberries in my freezer so I can make this cake pretty much anytime. It is great for dessert with whipped cream or ice cream and wonderful as a morning coffee treat. Fresh blueberries are still around so give this a try – you may want to put some extra blueberries in the freezer.